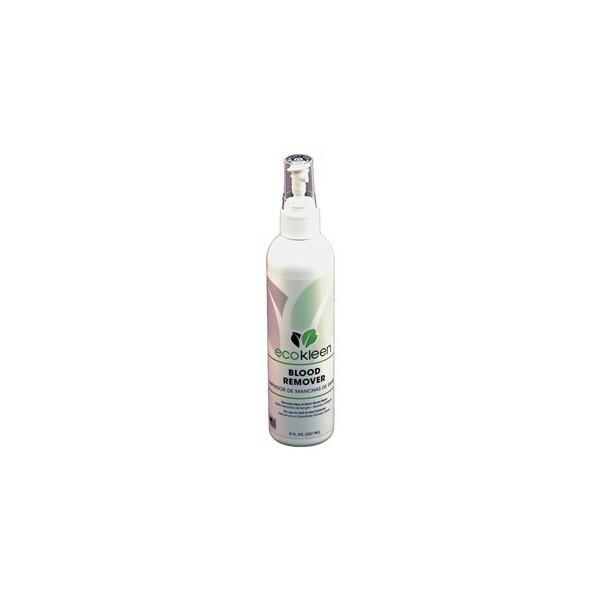 Ecokleen Blood Remover by Bio-Pro Research is a chemical free product that removes new and set-in blood stains from a range of soft and hard surfaces. Made with USDA certified ingredients. Available in 237ml. 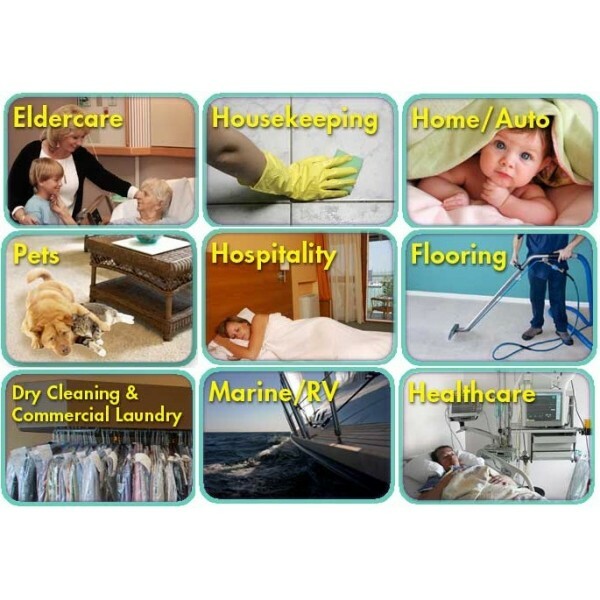 Blood contains proteins that cannot be dissolved by water and many of the traditional methods used to remove blood stains contain harsh chemicals such as ammonia or hydrogen peroxide which can damage fabrics and other surfaces. The specialised Ecokleen Blood Remover formula contains specific enzymes that break down the components of blood to remove stains. 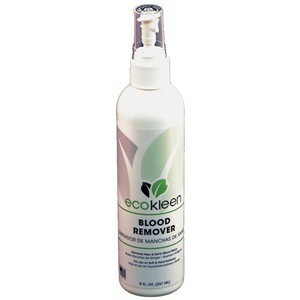 Ecokleen Blood Remover is designed to remove blood stains from clothing, carpets, bedding, upholstery, and other surfaces. Please note that while this product will successfully remove blood stains and odours, it is not a disinfectant and should be used as pre-treatment only. Click here to view our tips and advice for using the Blood Remover.